From news programmes to documentaries, press stories to magazine features, the publication of The Gospel of Judas in 2006 was a media sensation, which generated a great deal of coverage and commentary. Now, for the first time, the story of its hidden history and publication is told in full. Category: Conspiracy Theories & Alternative History, eBooks Tags: Gospel, jesus, judas, religion, christianity. The story begins with the exciting story of the discovery of the Gospel in Egypt in 1978, and its subsequent movements from one antiquities dealer to another. We discover how this precious document eventually finds a home in a New York safety deposit box, where is languishes for years with a $3 million price tag, before it is finally published to huge public attention and fanfare. More than just the story of The Gospel of Judas since it had been found, Churton also discusses how it relates to the historical place of the Judas: how he has been maligned and misrepresented across the centuries. This fascinating book sheds new light on the real nature of Jesus, and presents a daring speculation on the endeavours he planned with his disciples in Jerusalem, Judea and Galilee. 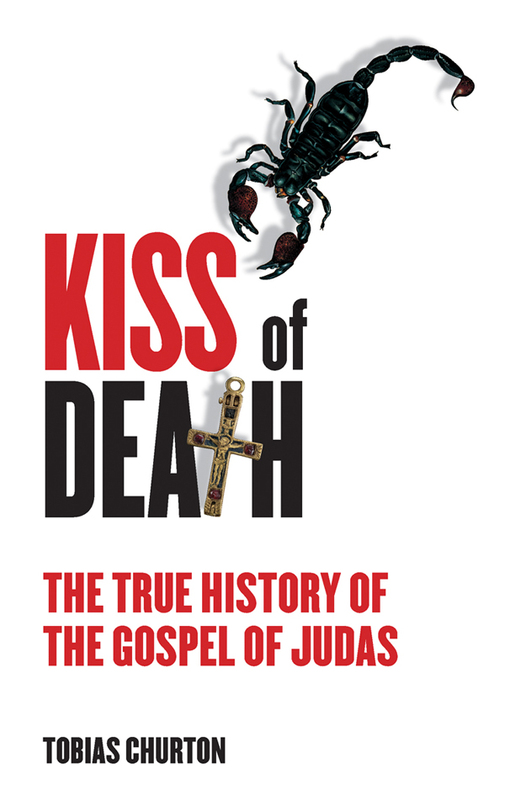 The Kiss of Death is an explosive book that explains the text of The Gospel of Judas, its context in modern Christianity, as well as the importance of its discovery and subsequent publication.